Objects are clearly distinguishable in this space. 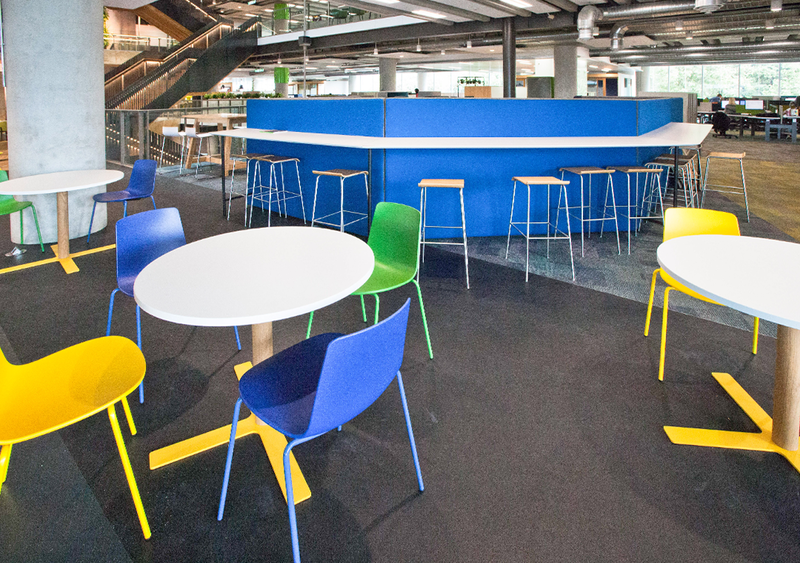 The seat, carpet and tables are clearly contrasted from one another, using colour and material changes. 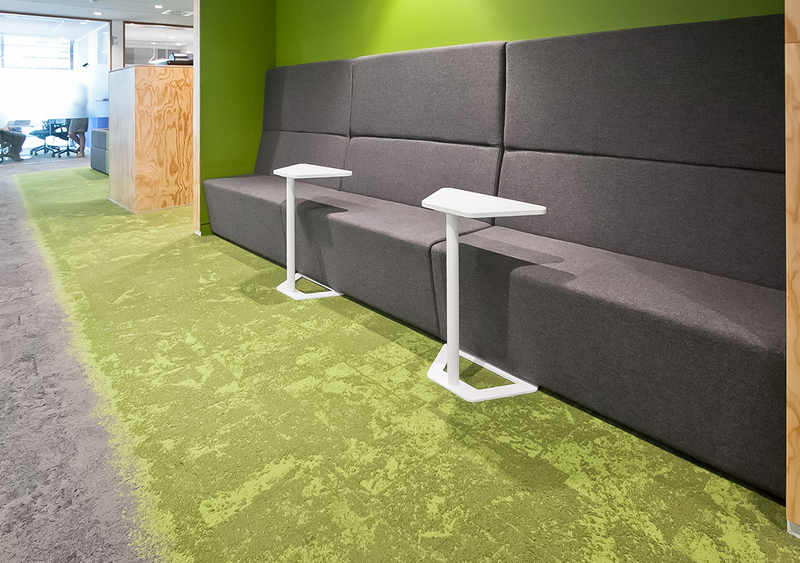 Using bright objects against a dark floor helps them to stand out in a space. 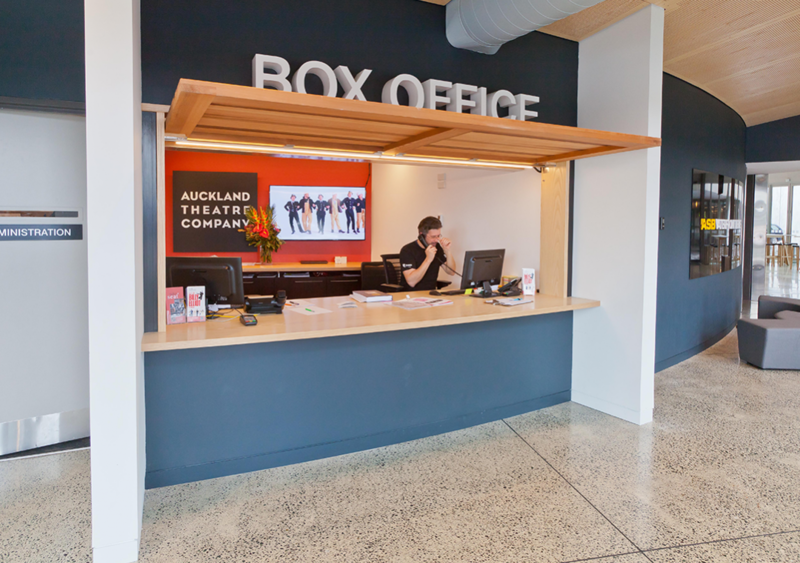 By using contrasting materials, the box office space clearly stands out against the walls and the floors. This is emphasised with a clear frame, bright lighting and large signage.